We have to admit… We had a lot of fun with this one. Build a custom website as unique as Mispillion that showcases their oe-of-a-kind personality. 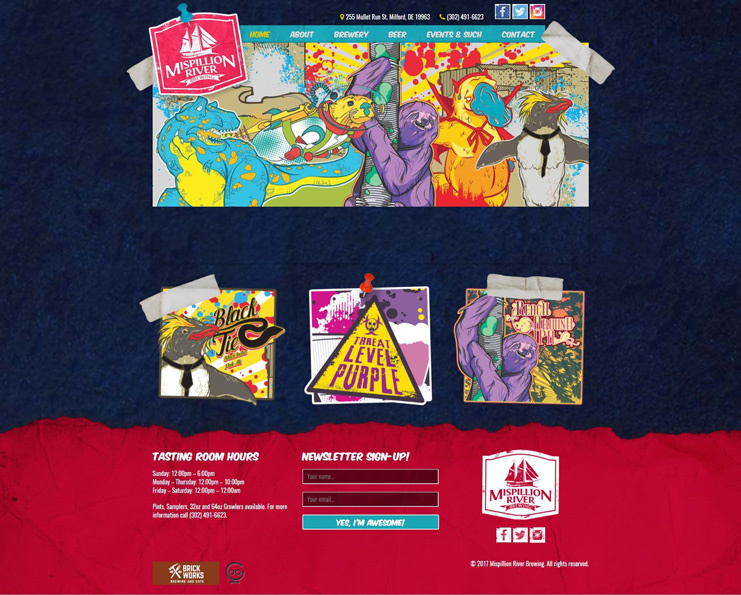 With plenty of mind-blowing custom design work, and a beautiful (easy-to-update) menu, Mispillion River Brewing is ready to go.